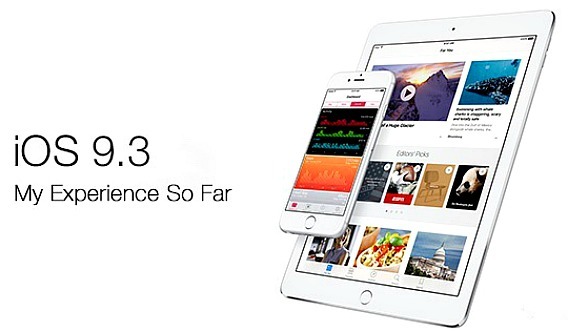 The new version of iOS 9.3 update wasn’t only offer bug fixes, but also improvements and added excellent new features. Apple’s has try to help iOS users get a better night’s rest, the new iOS 9.3 comes with Night Shift feature , which allow iOS users customize the blue light levels (color temperature) emitted from smartphone screen at night. In addition, iOS 9.3 also improved Touch ID by introduce the biometric and password protection feature to protect Notes app for extra secure existing and new notes. It also lets iOS users sort everything by date created, date modified, and alphabetically. For more features details here. iOS users can get the automatic update by connecting the device to iTunes. To grab the OTA update, head to Settings > General > Software Update on idevice to download and install iOS 9.3.